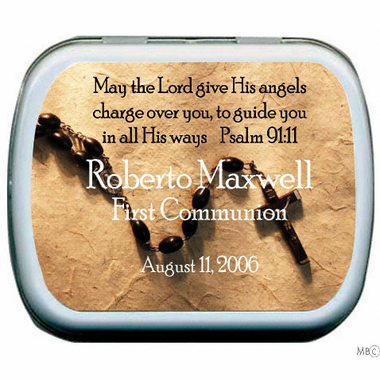 Personalized religious communion favors are so fitting for such an important occasion. 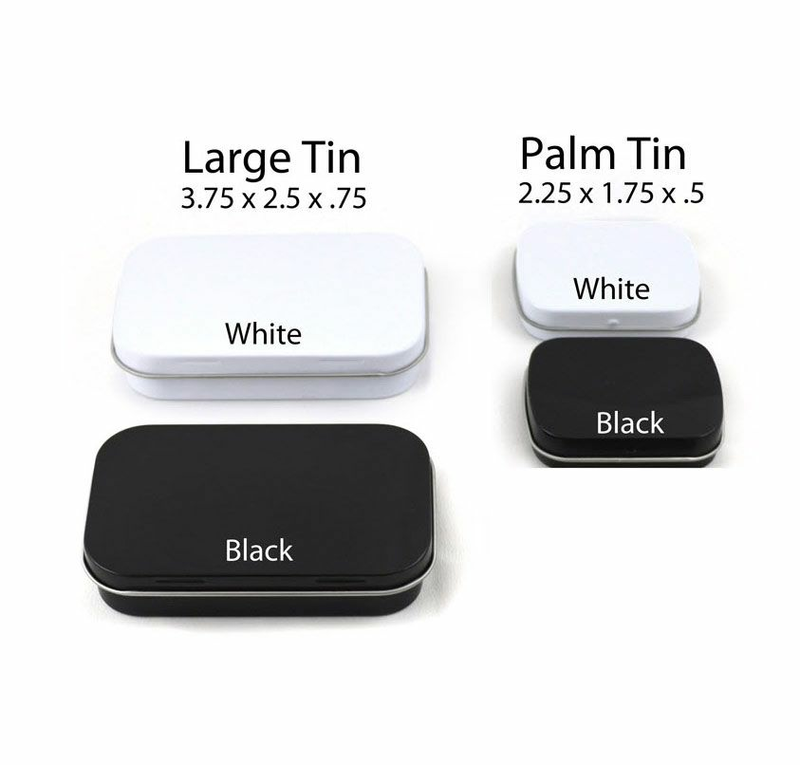 These elegant mint tins are a nice way to thank your guests for sharing in your child's First Communion. There is a label displaying a rosary and "Charge Over You" psalm. Your personalized message is also included in the price. 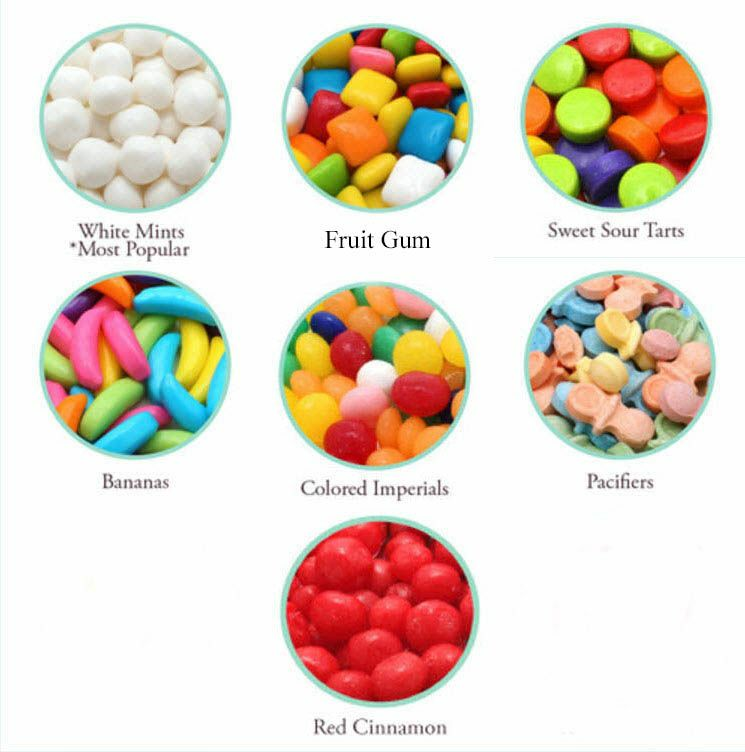 Also included is your choice of mints or gum as the filling. 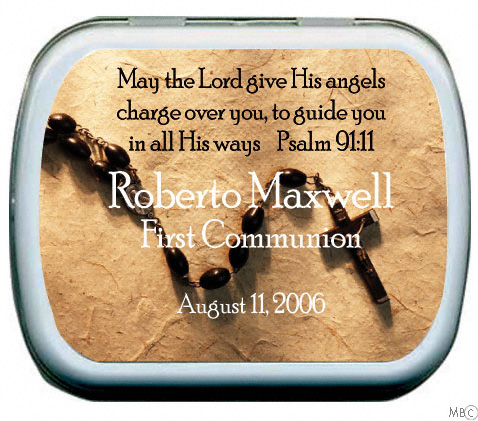 The label includes the words: "May the Lord give His angels charge over you, to guide you in all His ways Psalm 91:11"